In Collaboration With Hand & Stone: Massage and Facial Spa. Thank You For Supporting Brands And Businesses Who Support Basically Bronwyn. Located at The Summit at Fritz Farm, Hand & Stone: Massage and Facial Spa is new to the area and has just about everything to offer in terms of relaxation and pampering. The staff was very welcoming and friendly; they made me feel so comfortable, which is important when you’re looking to turn your brain off and relax. Their services include various types of massages and facials, as well as hair removal. For my visit, I was treated to a classic Swedish massage, and you guys, it was by far the most relaxing massage I’ve ever had! Between the perfectly heated table and calming music, I was truly living my best life during this hour long massage, haha. Hand & Stone does offer various other types of services, including hot stone and couples massages! After my massage, I received the classic facial that was so relaxing, I just about fell asleep on the table. What’s great about their facial services is that they’re able to tailor the products according to what your skin may need at that particular time, which I appreciate. Since my skin is very sensitive and prone to redness, she only used certain products and treatments that wouldn’t “anger” or inflame my skin. I left with my skin feeling very hydrated and so much healthier than when I walked in. I will most definitely be going back to Hand & Stone Spa because on top of being impressed with their services, they also have very affordable price points! You can find out more information about what they have to offer, as well as their business hours here. 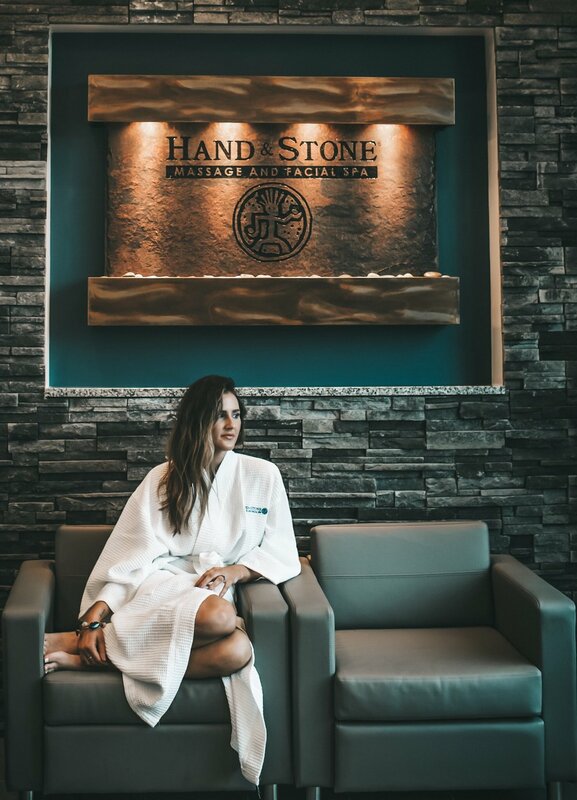 If you’re looking to give the gift of relaxation, or you’re wanting a day of pamper for yourself, I highly recommend making an appointment with Hand & Stone Spa! An email has been sent to your inbox to confirm your subscription!